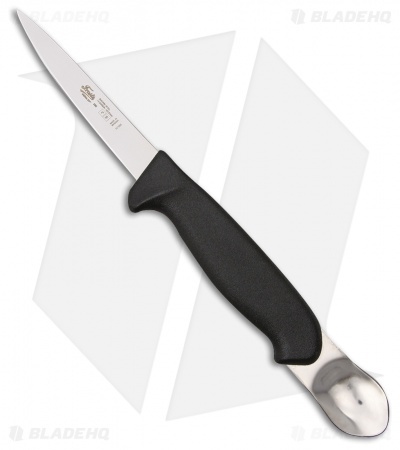 The Morakniv Gutting Knife with Spoon 299P is a great multi-purpose gutting and cleaning tool. Cold-rolled Stainless Steel blade with a satin finish. Black polymer handle with light texturing provides a secure grip. 2" Stainless steel gutting spoon for cleaning all types of game.